Son Kirby's hair turns golden and gains incredible strength. Kirby can now K.O. anything. Kirby unleashes a huge blue blast after saying Ka-me-ha-me-HA. Destroys opponents deck. Comments : This is Kirby after eating Goku. 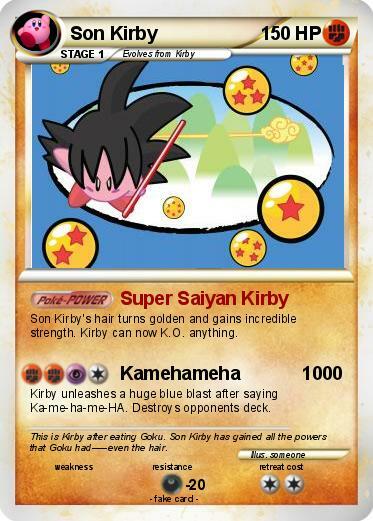 Son Kirby has gained all the powers that Goku had-----even the hair.